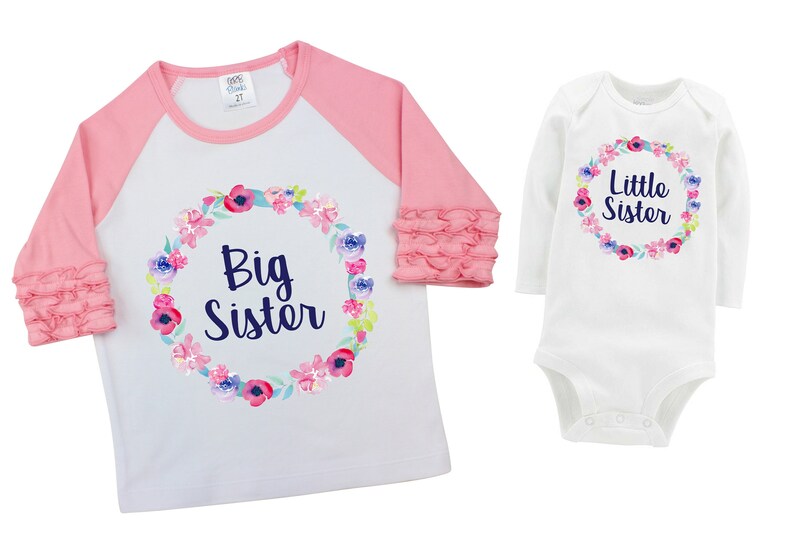 Big Sister or Little Sister Shirt or Bodysuit. Please note the name and design in the comments of your order or the personalization section. 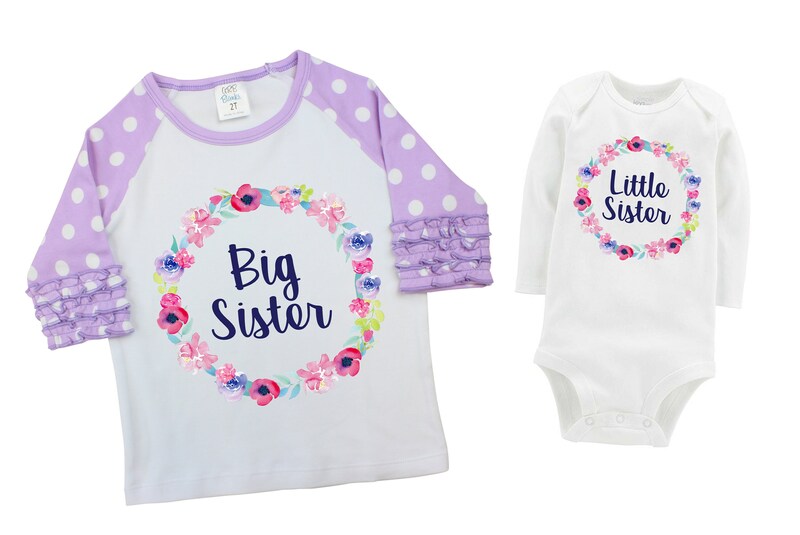 If you need more than one, just add each to your cart and note the personlization details for each one. 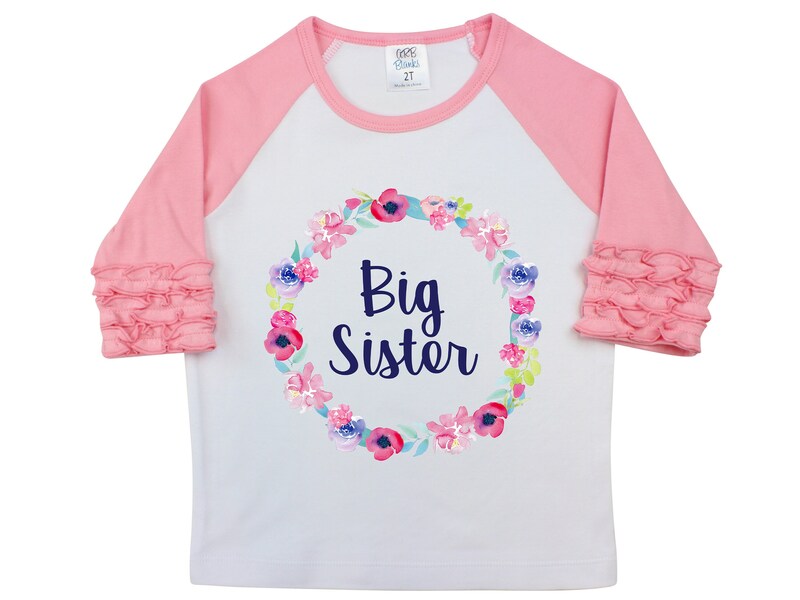 This cute top is designed and printed by us and printed using water-based ink. 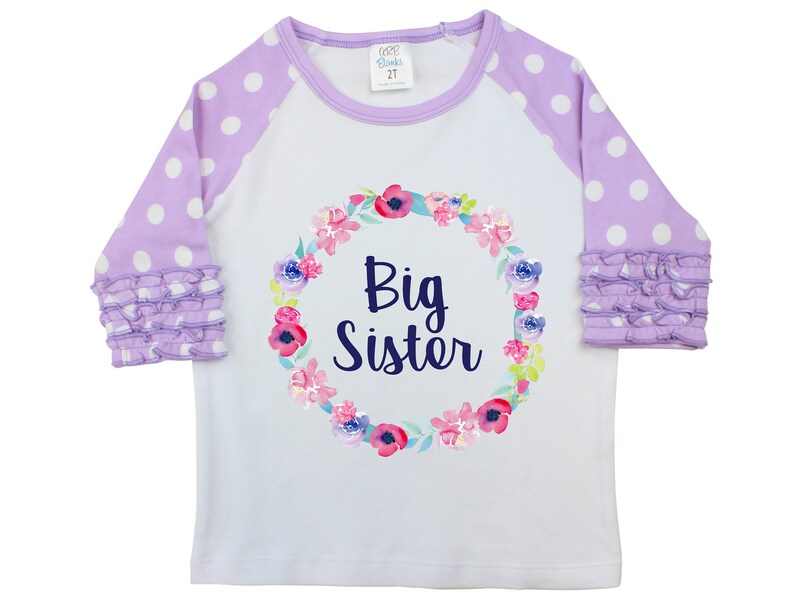 Choose a purple polka dot ruffle raglan (white body), pink ruffle raglan (white body), all white flutter sleeve shirt, bodysuit (long sleeves or short sleeve with snap crotch -Carter's. Gerber available only upon request). 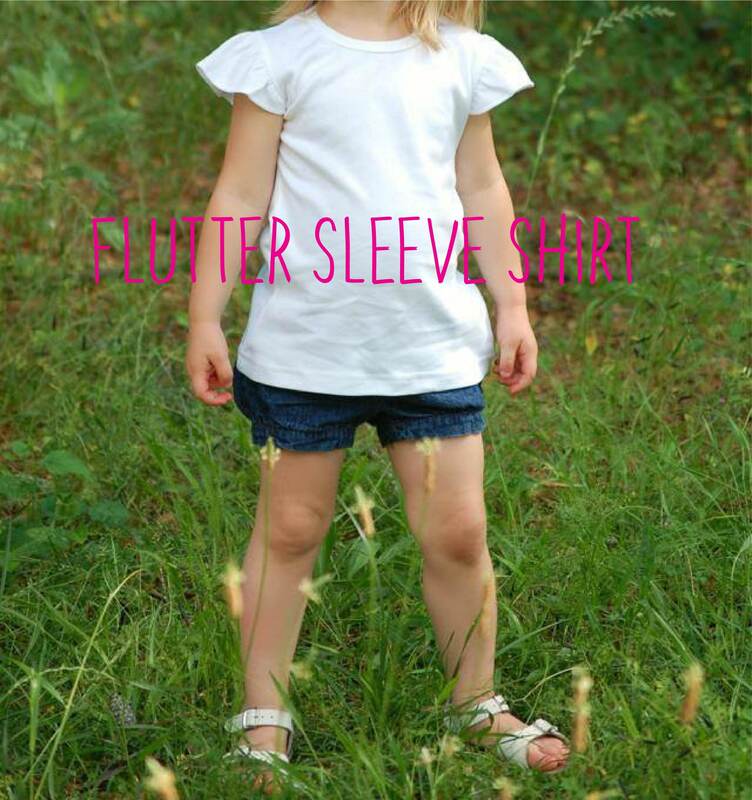 Fast shipping, adorable shirts. Thanks!